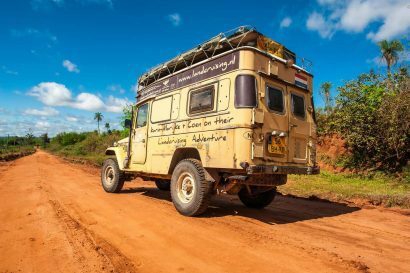 One of the more useful additions to any overland vehicle, an awning can provide welcome respite from inclement weather or an escape from punishing sunlight. 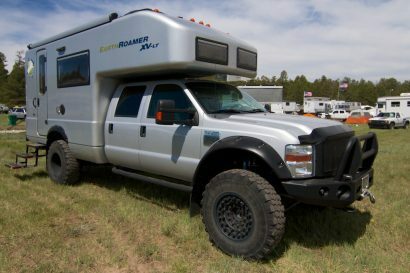 The negligible weight penalty and diminutive size make them all the more attractive but this is not to say there are not negatives to overcome, most commonly price and the complexity of setup. 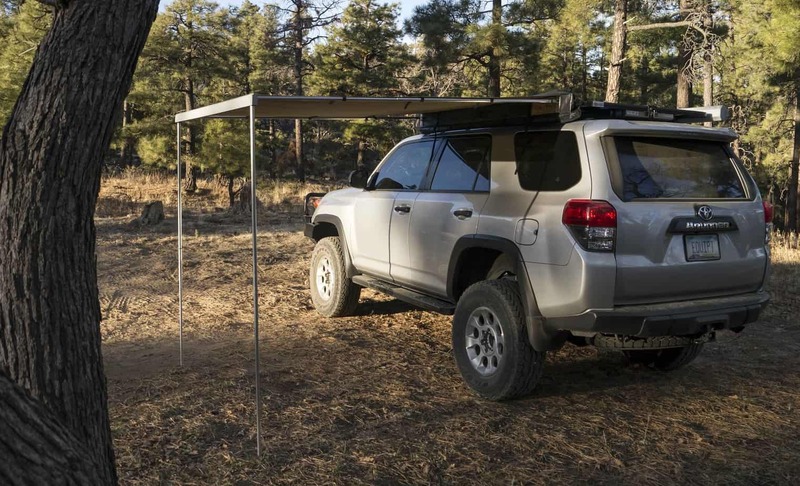 With the release of the new Eezi-Awn Shade 2.0 Meter Bag Awning, even those two reservations are readily dismissed. At a touch over 18 pounds with a sleek stowed size of just 84 by 3 by 5 inches, the Shade is an ideal size for most overland vehicles and occupies minimal space along the roofline. 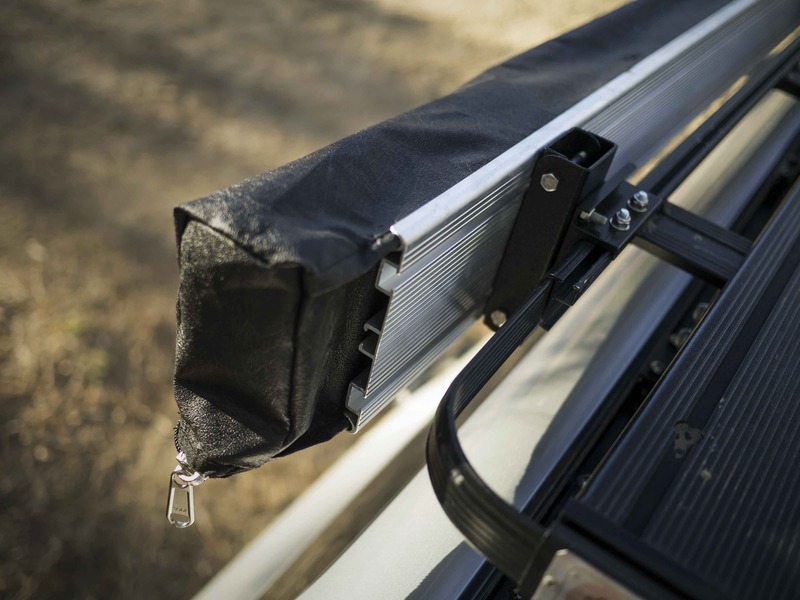 The heavy-duty anodized aluminum framework facilitates easy mounting to just about any roof rack and a durable PVC cover with a large gauge YKK zipper keeps the awning protected from the elements and ready for a quick deployment. Setup can be achieved by one person in as little as a minute and without the awkward fiddling many awnings demand. Freestanding with adjustable supports capable of a maximum height of 92 inches, the Shade provides over 40 sq. ft. of coverage. 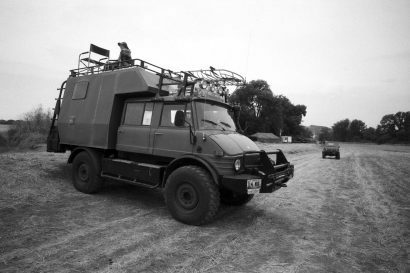 Six velcro straps secure the main panel to the rafter arms creating a surprisingly solid structure, especially when anchored to the ground with the provided stake loops at the base of the main supports. As we would expect of Eezi-Awn, the quality of the materials and execution of design is unsurpassed. 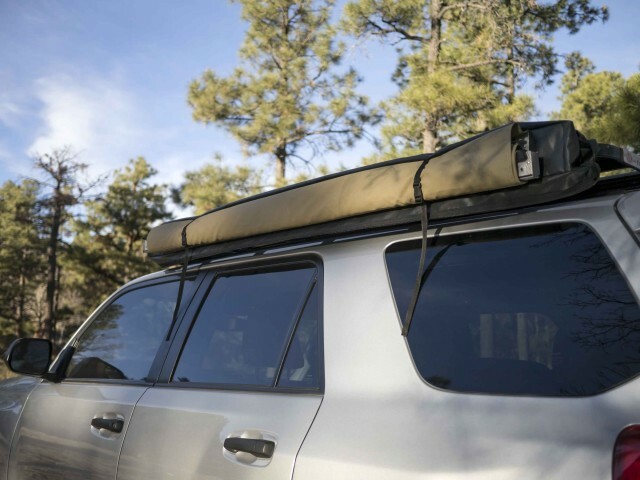 The 260-gram waterproof rip-stop canvas is durable yet lightweight and the 700-gram cover is made of the same material used in the fabrication of many pickup tonneau covers for maximum UV resistance. 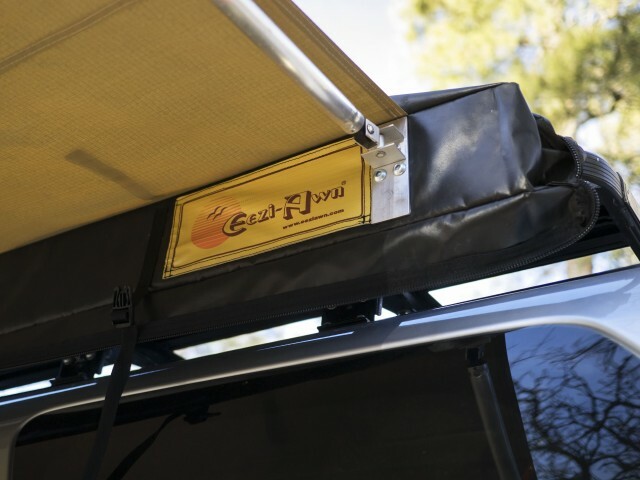 Built in the same South African factory as Eezi-Awn’s legendary Series 3 and XKLUSIV rooftop tents, the Shade 2.0 Meter Bag Awning is worthy of the Eez-Awn name and represents an excellent value at just $295.